Some of you have been asking how I’m doing after my first 2 chemo treatments. So I’m putting out this note a little earlier than I had planned. Upfront disclaimer: I promise I will not write an update every time I have an ache or chill or other general feelings of unwellness. I don’t want to inundate you with every little symptom. Just want to let you know when something interesting occurs. Ivanna started chemotherapy this morning at Texas Oncology. A little sleepy from the Benadryl given to prevent a reaction to the chemo. My entire chemo protocol has been approved as of an hour ago! I’m good to go with the chemotherapy here in Austin on Tuesday, 5/18. It’s definitely weird to be happy about getting sick on chemo but at least I’m moving forward. 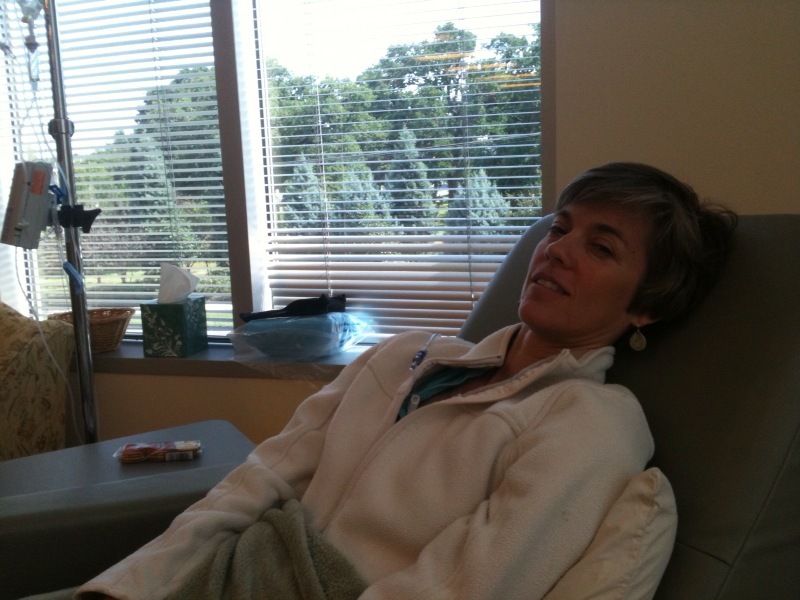 Surprise, surprise – my chemo has not started yet. Unbelievable how messed up health insurance can be. My local oncologist’s office has been trying to get approval for my one of my chemo drugs, Erbitux, for over a week. On Monday, my local doctor’s office called to see if I could help work things out with the insurance company from my side. I have been talking to the insurance company every day since Monday. After contacting the patient advocate today, we were told that all the paperwork was sent to the wrong department. I was told that they would get back to me within 24 hours. Hmmm. The current plan is to start chemo in Austin on Tuesday, 5/18, pending approval. I can’t start tomorrow (Thursday) or Friday since my chemo is a 48-hr infusion. It is administered in the office for a few hours and then I go home with a pump for the remaining time. I have to come back to the office so they can unhook my pump and flush my line but they aren’t open on weekends to do that. Meanwhile, my local doctor wants to do another baseline CT scan on Monday to see how much my second tumor has grown since the last CT scan on 4/14. This will give us a more accurate view of how the tumor is responding. I spoke with my medical oncologist at M.D. Anderson Cancer Center about all of this delay. He was not particularly happy. He agrees with doing the additional CT scan. If the chemo is not approved and started Tuesday, I am to call him and they will get chemo going down there.